At ten minutes in length, this countdown clock is used to communicate the planned start time of the service for the series "The Table" to the audience. This message opener was created to promote Ed Young's series "The Table." The greatest meal in the world isn’t found in a five-star restaurant in the city. It isn’t a home cooked meal. It’s the Bread of Life known as Jesus Christ, and it is best served at the table known as the local church. But that table doesn’t sit idle and alone. It is surrounded by chairs. In this foundational message by Pastor Ed Young, we discover what the chairs around the table represent. We learn what our role is at the table. And we see how this meal can transform everything in the lives of people who are sitting in those chairs. What’s up Fellowship Church? How’s everybody doing? Y’all doing OK? Let’s do a big welcome to all of our different environments. How are you guys doing? Please be seated. ILLUS: You know, a while back I got in touch with my feminine side and traveled with Lisa to Canton, Texas. Canton, Texas is the home of the largest flea market in the world. I don't know if you’ve ever been there or not, guys, but the demographics are pretty crazy, 99% female to about 1% male. And the guys who are there, I think most of them are in the dog house. That’s why they went to Canton accompanying their wives or girlfriends, whatever. “Ed, isn’t that hilarious? All that girl has to do from the chicken restaurant is walk about 20 feet out from the shade into the heat, serve the samples of the chicken sandwiches to hunks of humanity who are filing by, drawing them to the chicken restaurant, and the whole thing would just explode, wouldn’t it?” And I thought, wow, you’re right! The church is a table where people come to get fed. It’s where we come to sit and to learn. But we aren’t designed to just sit in one chair for the rest of our lives. In this message by Pastor Ed Young, we discover what it takes to move from one chair to the next at the table. And as we learn what that process is all about, we see how changing chairs can lead us to a life we never dreamed possible! The church is a table where people come to get fed. This metaphor, table, is used throughout scripture. The psalmist said in Psalm 23, “God, you prepared a table for me in the presence of my enemies.” The major and minor prophets talked about tables. Then we go to the New Testament and we see that the disciples were reclining at the table. One of the major phrases they tagged Jesus with was ‘you eat at the table with sinners.’ You’re a friend of sinners, of prostitutes, of tax collectors, of the downtrodden and depressed and disenfranchised. You’re eating with them at the table. And then we know in the book of Revelation, those of us who are followers of Christ, as we go into the next reality in Heaven we will sit down at the table, the Lamb’s table, and eat forever and ever. So the church is a table where people come to get fed. The pastor is the leader and the feeder. I’m the dude with the food. I’m the chef. Emeril, Bobby Flay, whoever you want to say, Wolfgang. I serve the food in a creative and compelling way. Hopefully the food is served and it’s the Bible, right, the Word of God, in a nutritious way, a delicious way. And then the calories from the food give us the fuel to push away from the table and do what God wants us to do. I read several years ago that Dallas has more restaurants per capita than almost any major city. Then I also saw in another magazine that Dallas is one of the most obese cities in America. Could there be a correlation? I’ve got to say Dallas has more spiritual restaurants than any place I’ve ever seen, and we’ve got to have more spiritual obesity than any place I’ve ever seen as well. It’s called the belt buckle of the Bible belt, yet a lot of people are so spiritually overweight that their Bible belts are on their last hole. They’re about to <ping-ping-ping> pop the buttons off. They’re pot-bellies. They’re just sitting there at the table gorging on food. A table is a common household piece of furniture. It’s found in every restaurant in the world. But the purpose and power behind it may be much more than we realize. 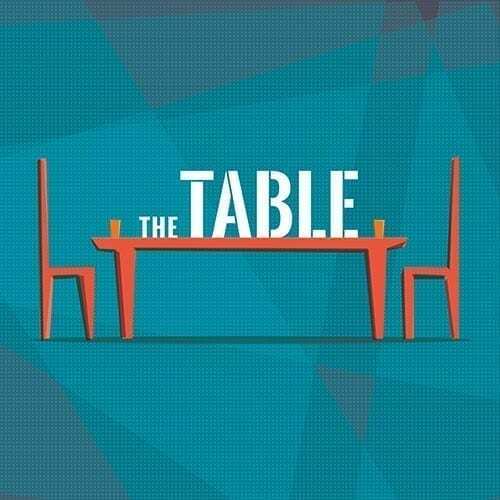 In this perspective-shifting series by Pastor Ed Young, we discover that the role of the table in our lives and our place at it has the power to change everything in our lives and in our world. It all comes down to the meal we dine on; and more importantly, what we choose to do after we eat. Serving The Bread Of Life To Those Who Need It. The greatest meal in the world isn't found in a five-star restaurant in the city. It isn't a home cooked meal. It's the Bread of Life known as Jesus Christ, and it is best served at the table known as the local church. But that table doesn't sit idle and alone. It is surrounded by chairs. In this foundational message by Pastor Ed Young, we discover what the chairs around the table represent. We learn what our role is at the table. And we see how this meal can transform everything in the lives of people who are sitting in those chairs. Moving Onto Maturity In Christ. The church is a table where people come to get fed. It's where we come to sit and to learn. But we aren't designed to just sit in one chair for the rest of our lives. 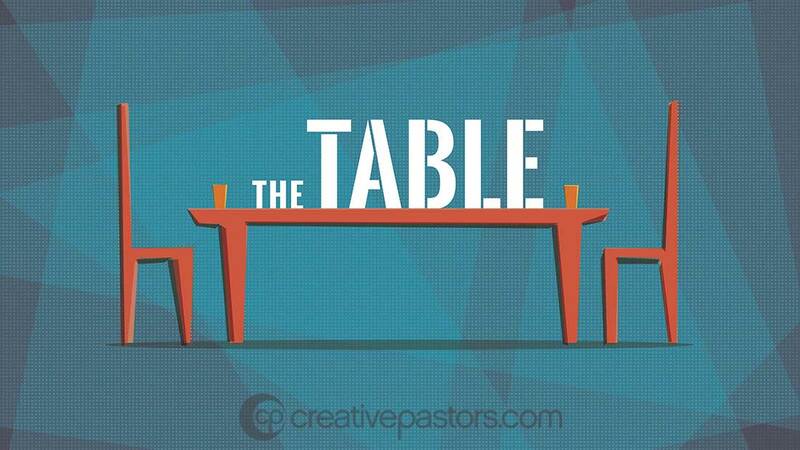 In this message by Pastor Ed Young, we discover what it takes to move from one chair to the next at the table. And as we learn what that process is all about, we see how changing chairs can lead us to a life we never dreamed possible!